Yerba mate technically can expire if it’s not stored in a cool and dry place. When mate is stored in a dry area, it can become brittle and flaky, and subtle flavors are destroyed. If it’s stored in an overly-humid place, it’s at risk of mold. However, when properly stored in a dark, dry, and cool locations, such as a kraft paper big, tea tin, or glass jar, yerba mate can actually improve with age, up to several years; such aged yerba mate has a slight yellow hue and still retains a matte sheen on the leaves, without being overly-dry. Aged yerba mate develops subtle, nuanced flavors. A good example would be Anna Park. Allow me to extrapolate. If you store your yerba mate in a cool, dark, and dry location — preferably in a glass jar or tin — your mate will last way beyond the two year expiration date on the package (those expiration dates on the label have more to do with politics than health when it comes to yerba mate). In fact, mate will most likely improve with age, with enhanced nuanced flavors and finer aromas. Effectively, as with wine, aging can add complexity to yerba mate. Remember, if you’re drinking a mate brand directly from South America, the expiration stamp is usually on the side of the bag, sometimes on the top. How to Determine if Your Yerba Mate Really has Gone Stale? 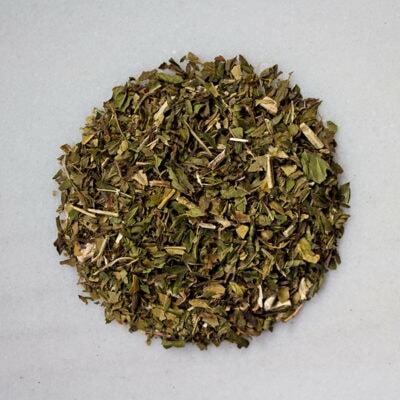 Three factors are essential for determining the quality of yerba mate. LOOK. How does the mate look? It should be an olive green with a thin matte sheen. FEEL. How does the mate feel? It should have some buoyancy and pliancy. The leaves shouldn’t be overly dry and crumble to the touch. You should detect a slight moisture in the leaves and the stems should be an eggshell white to light tan. SMELL. How does the mate smell? You should detect the general mate bouquet of toasty hay, green vegetables, earth, and a mild sweetness. That’s about it. More than anything, use common sense to detect the mate’s quality. If it tastes, looks, and smells good, then chances are it’s good. Sip on, Materos! I uy off of ebay since I dont have much money but I dont notice any more energy or all the benefits you talk about, could it be the cheaper doent have the good results the higher quality does? Hey Karen, I’d highly recommend our Anna Park yerba mate. The price is attainable and the quality is high.